This time of year in the creek, Coho adults and smolts have already migrated back to the ocean, leaving behind the young of the year (YOY) to grow before migrating out next spring. 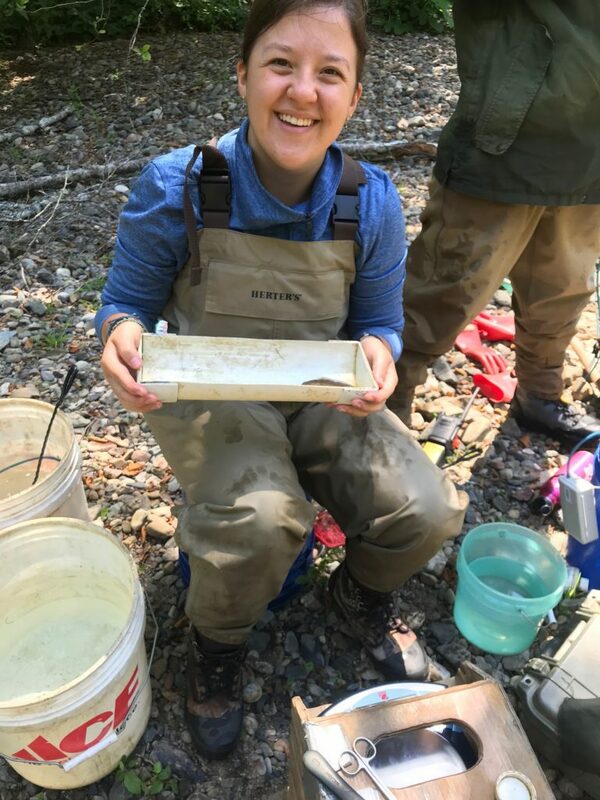 Counting YOY this summer allows scientists to compare numbers to previous years and helps estimate how many smolts will be caught leaving next spring and how many adults will return in three years to spawn. 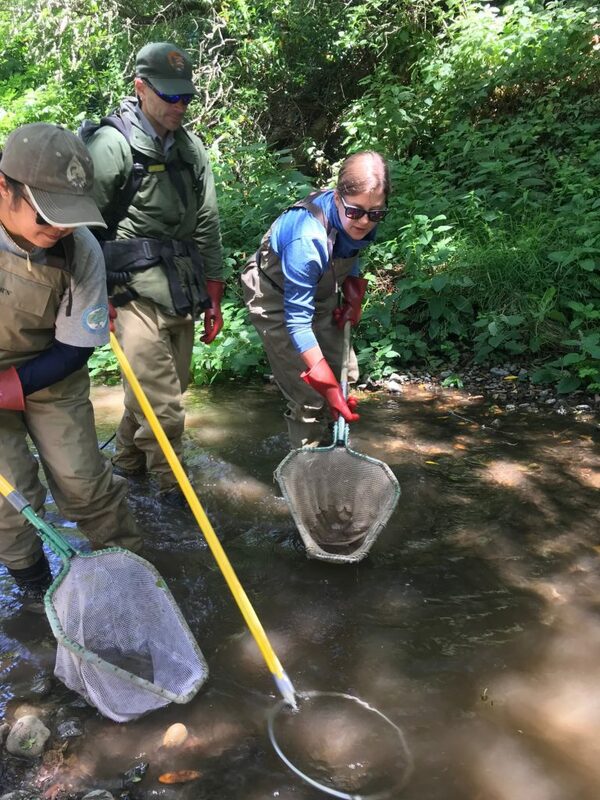 For years the Parks have tracked Coho numbers in Redwood Creek in order to follow population trends and help make Recovery Plans for the species. But, counting fish is much harder than reciting your favorite Dr. Seuss poem (especially when there is more than two fish). One common way fisheries scientists sample fish populations in freshwater is Electrofishing. Electrofishing (as you might assume) using electricity to help catch fish. A scientists uses a backpack that creates electrical currents and passes them into the water through an anode and a cathode. The electrical current in the water causes an involuntary muscular response in the fish forcing them to swim towards the anode where they are stunned for a few seconds. People following nearby with dip nets quickly catch the fish and move them to buckets lined up along the stream banks. A scientist waiting on the bank, weighs and measures each fish. A certain number of Coho are also given a PIT (passive integrated transponder) tag to help track the individual throughout its lifetime. 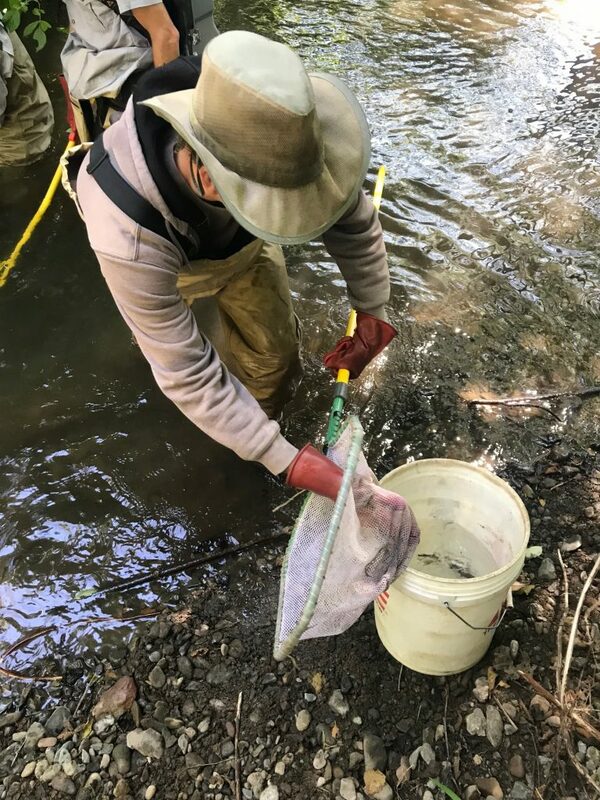 In Redwood Creek, only a small portion of the pools are electrofished and the numbers of Coho YOY caught in these pools are used to estimate the population throughout the entire creek. 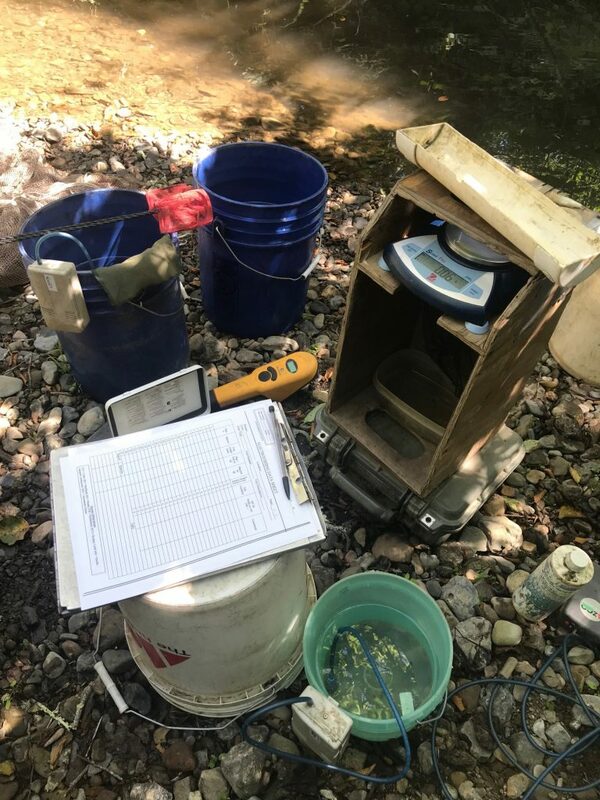 When done correctly, electrofishing causes no permanent harm to the fish and is an effective way to determine abundance.